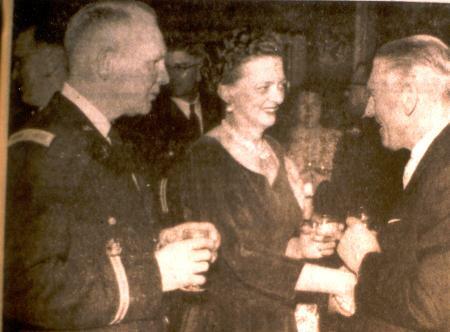 On 19 December 1951 the Fuerth Lord Mayor Dr. Bornkessel (standing) says farewell to the last Resident Officer Charles M. Emerick (on the left). 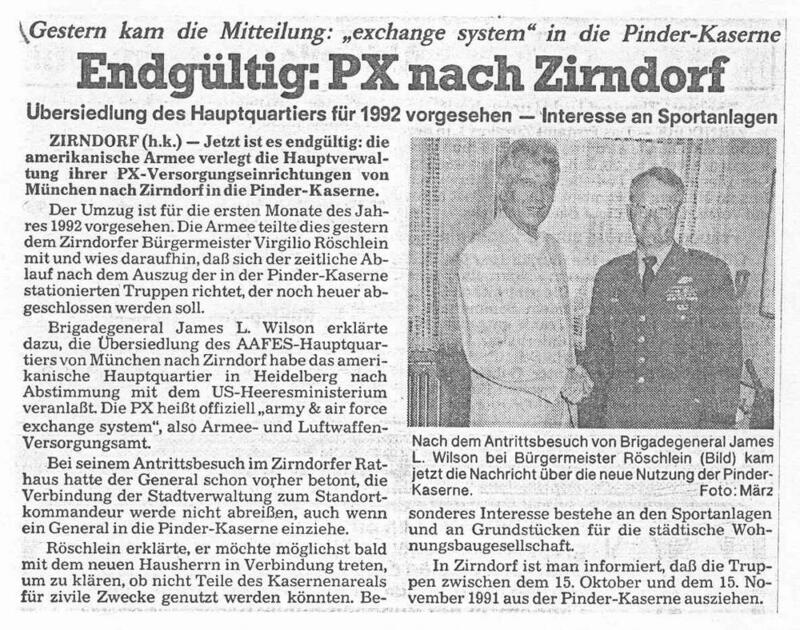 From this moment on the Fuerth City Government was independent again. 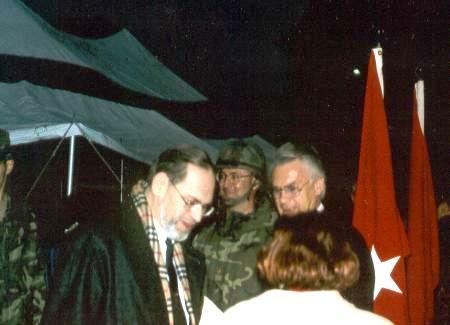 General Bixby (to the right) is listening. 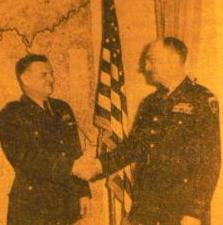 To the right: Colonel Kirby (to the right) and Colonel Kimpton (2 December 1955). 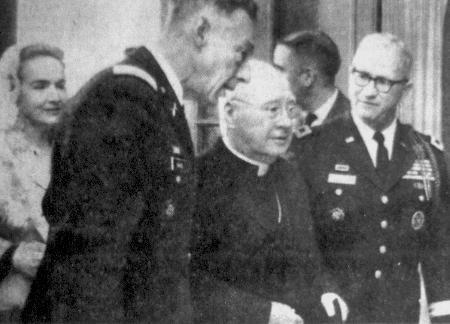 Colonel Homer B. Chandler Jr.
26 November 1965: Cardinal Spellman visits Fuerth. 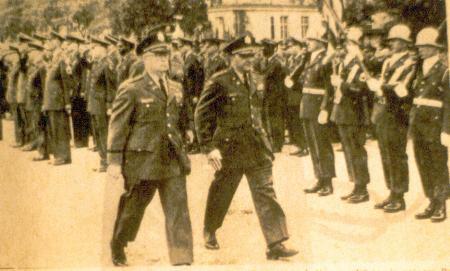 Colonel Sage on the left. 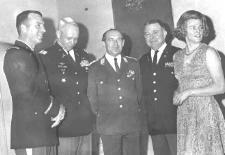 Change of Command 19 July 1976: from general Price (in the middle) to General Partain (left). 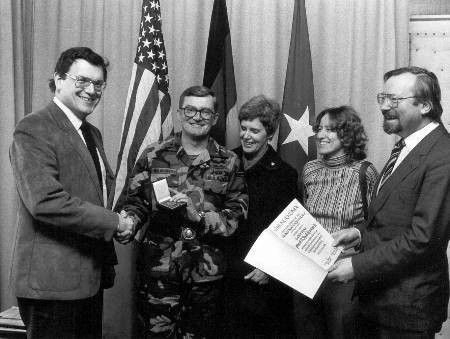 General Price together with the Fuerth Lord Mayor Kurt Scherzer. 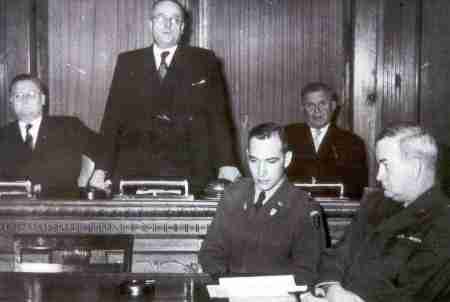 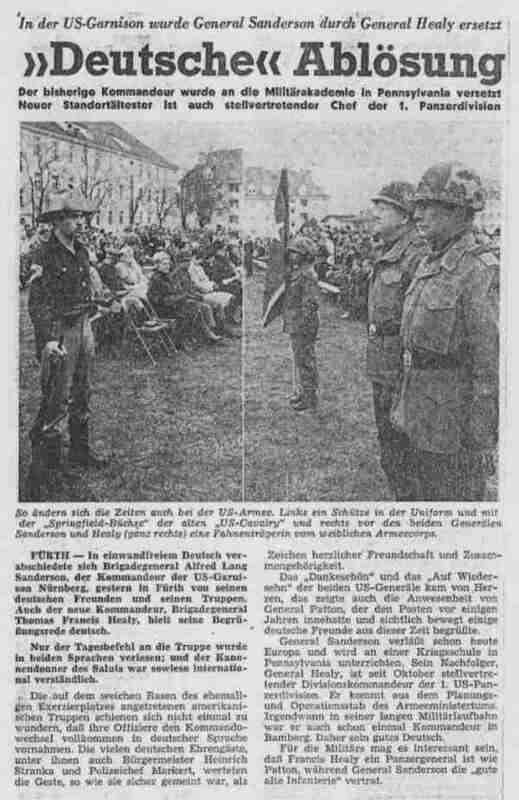 General Sanderson meets German Journalists. 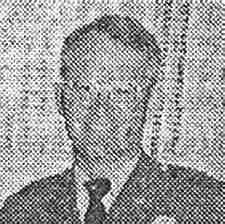 Michael John Conrad entered the Military as a Second Lieutenant in June 1956 upon graduation from the United States Military Academy. 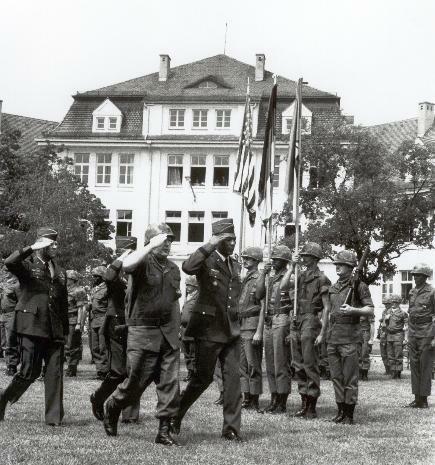 After completing the Infantry Officers Basic Course, Parachute Jump School and Ranger School at Fort Benning, Georgia, he was assigned to Augsburg, Germany, with the 11th Airborne Division. 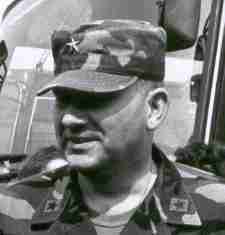 During the next three years, he served in a variety of positions, including serving in Lebanon in 1958. 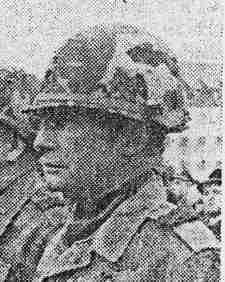 Following his return to the U. S., he was a Company Commander with the 82th Airborne Division at Fort Bragg, North Carolina; attended the Infantry Officers Advanced Course at Fort Benning; and in 1963, was assigned to Vietnam as a battalion advisor. 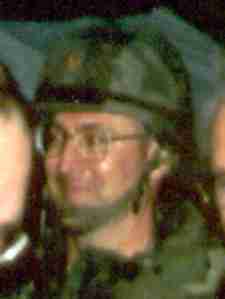 Following a year at graduate school at Rensselaer Polytechnic Institute, he served three years at USMA in the Department of Mathematics. 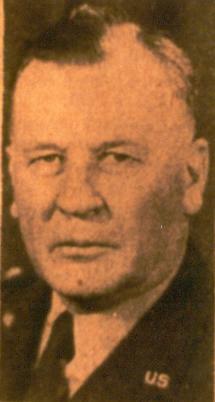 In 1968, he attended the Command and General Staff College at Fort Leavenworth, Kansas. 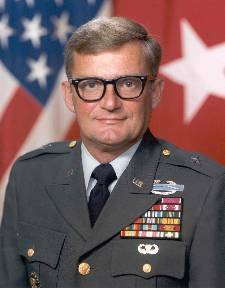 In July 1969, he was assigned to Vietnam with the 1st Cavalry Division as Commander, 2nd Battalion, 8th infantry, and as Assistant Chief of Staff, G-2. 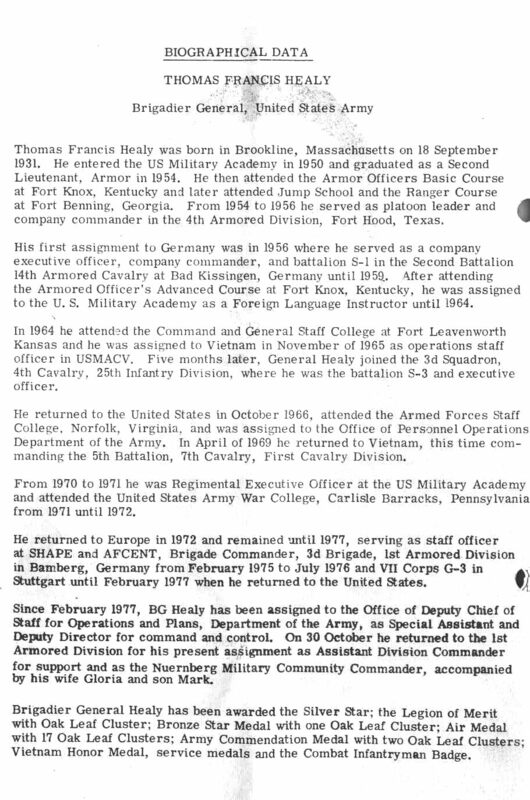 He returned to the United States in August 1970 to the Office of Personnel Operations, United States Army, Washington, D. C., as a Personnel Management Officer, Infantry Branch. 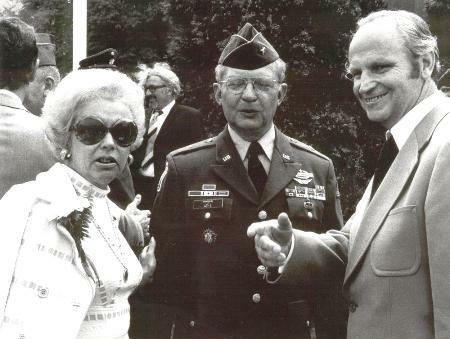 From 1971 until July 1972, Brigadier General Conrad attended the Army War College, Carlisle Barracks, Pennsylvania. 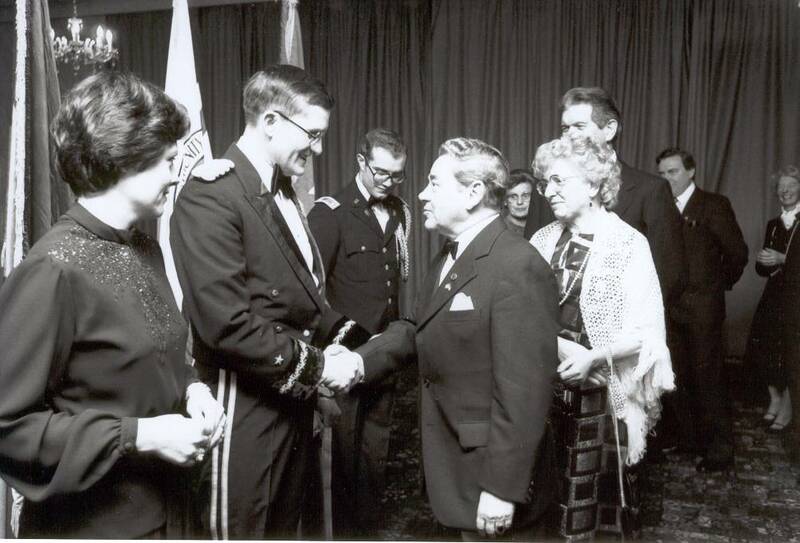 In July 1972, Brigadier General Conrad was assigned to the Office of the Chief of Staff on the Army as the Assistant Secretary on the General Staff; and in November 1974, became the Executive Officer to the Vice Chief of Staff on the Army. 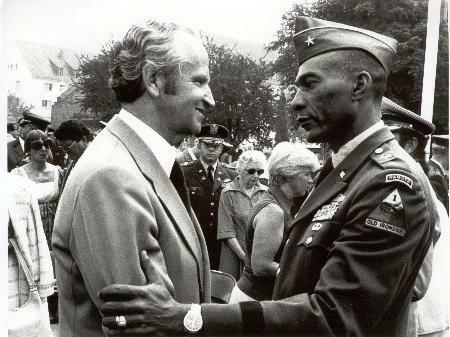 In May 1976, BG Conrad was assigned to Fort Lewis, Washington, as the Chief of Staff, 9th Infantry Division; and in January 1977, he became the Commander, 2nd Brigade, 9th Infantry Division. 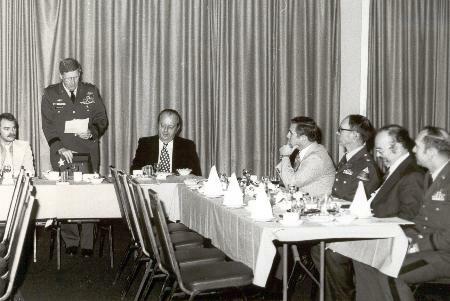 In July 1978, BG Conrad was assigned as the Senior Fellow, Executive Seminar in National and International Affairs, Foreign Service Institute in Rosslyn, Virginia. 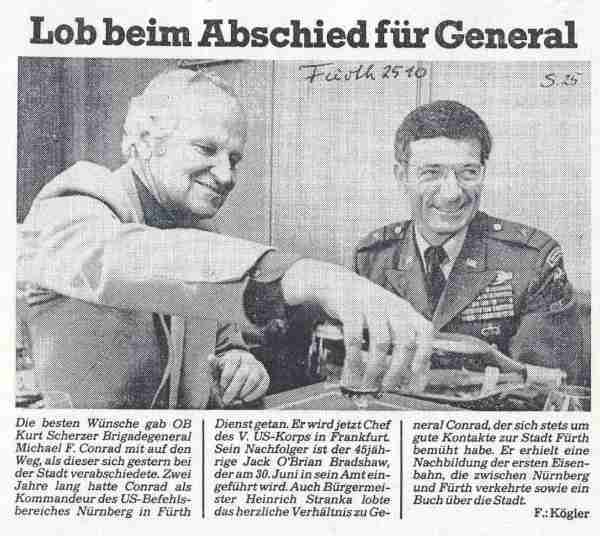 On 26 July 1979, he was assigned to the 1st Armored Division in his present position as Assistand Division Commander (A) for support and the Nuernberg Military Community Commander, accompanied by his wife, Ann. 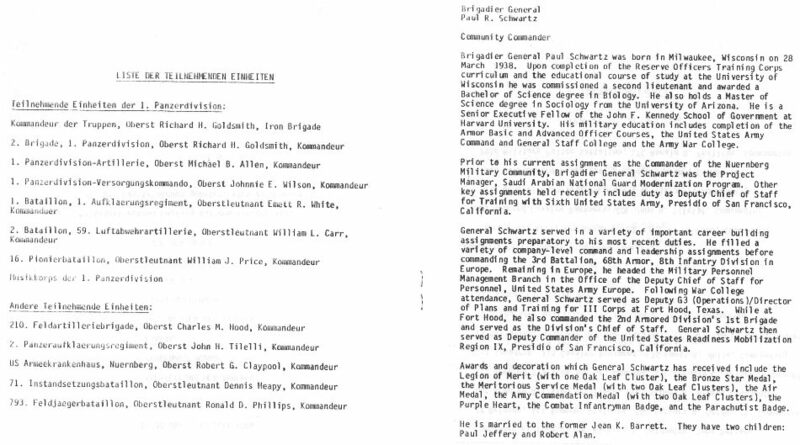 They have three sons: Michael, a First Lieutenant stationed at Fort Stewart, Georgia; and Thomas and Christopher, both college students. 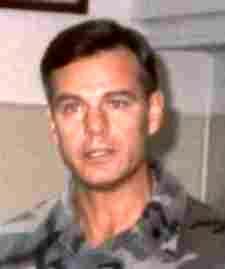 He departs on 30 June 1981 for V Corps where he will assume duties as Chief of Staff. 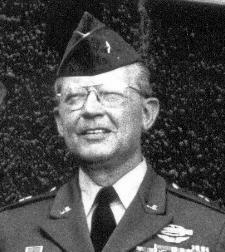 Brigadier General Conrad has been awarded the Silver Star with Oak Leaf Cluster; the Legion of Merit with Oak Leaf Cluster; the Distinguished Flying Cross; Bronze Star Medal with Oak Leaf Cluster; Air Medals; Army Commendation Medal; Purple Heart with Oak Leaf Cluster; Combat Infantryman's Badge; Senoir Parachutist Badge; and Ranger Tab. 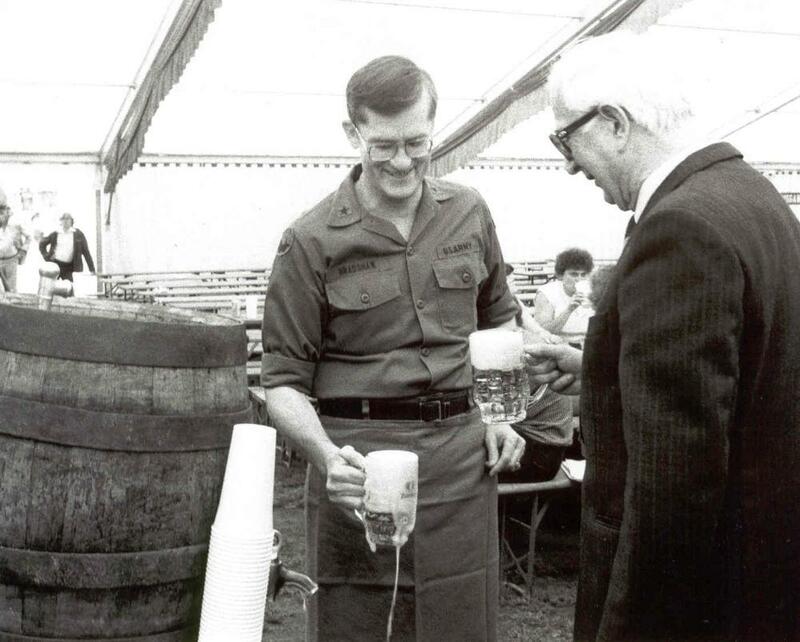 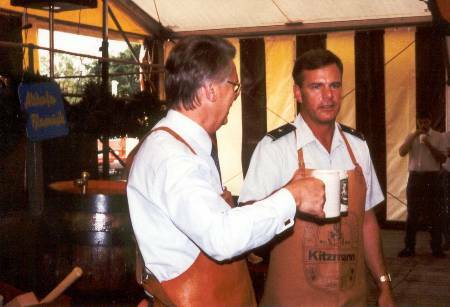 General Bradshaw together with Fuerth Mayor Heinrich Stranka in July 1981. Left: New Years Reception: BG Bradshaw is shaking hands with my father Joseph Jesussek. 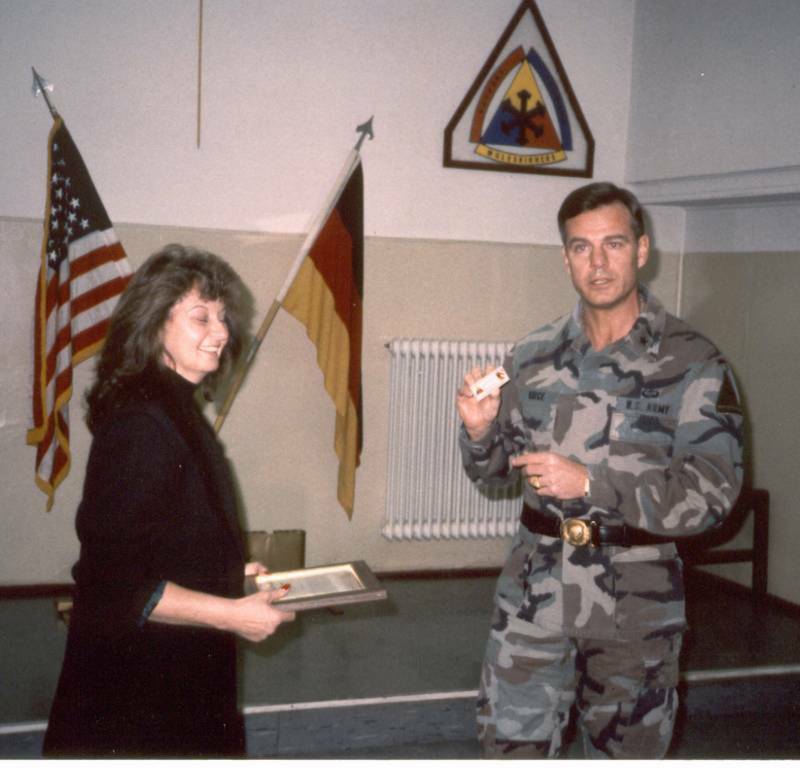 BG Shalikashvili receives a medal of the "Bund Naturschutz" for his exemplary engagement for environmental protection (BG Shalikashvili succeeded in replacing the old coal power stations for the Kaserns in Fuerth by modern ones operated by natural gas). 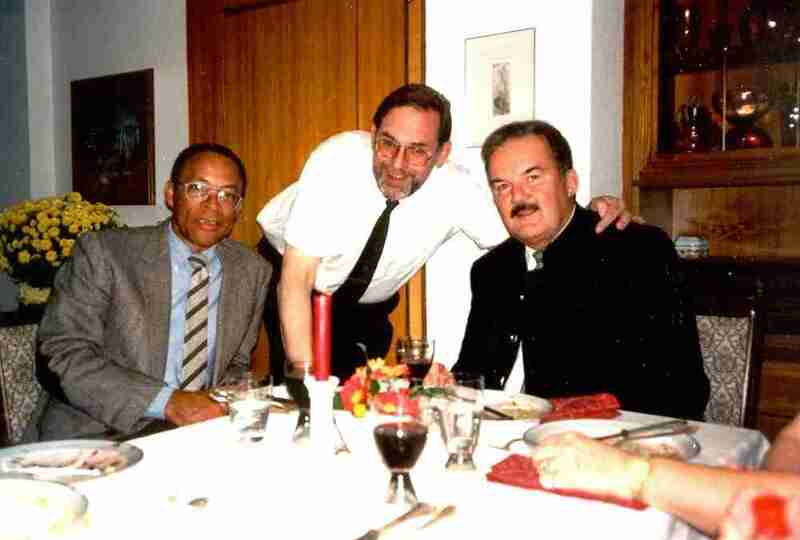 On the right, Professor Dr. Guenther Witzsch, a member of the German-American Men's Club. 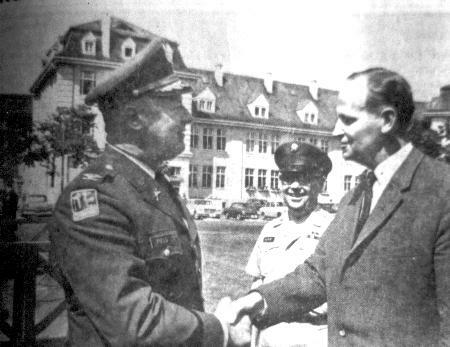 Brigadier General Wesley B. Taylor Jr.
BG Burch (left) together with COL MacLellan (on the right). 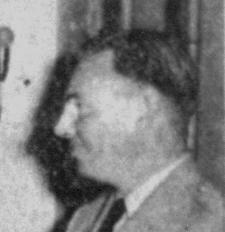 In the middle Horst Flasche from the German-American Men's Club. 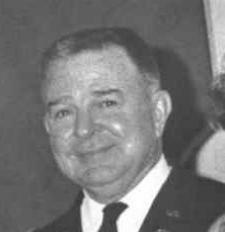 Colonel Norman A MacLellan, a native of Michigan, received his commission through the ROTC Program upon graduation from Eastern Michigan University, with a Bachelor's Degree, in 1963. 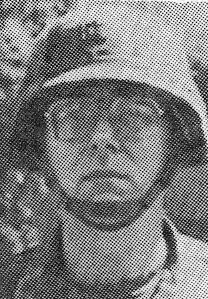 Immediately thereafter, he entered active duty at Fort Knox, Kentucky. 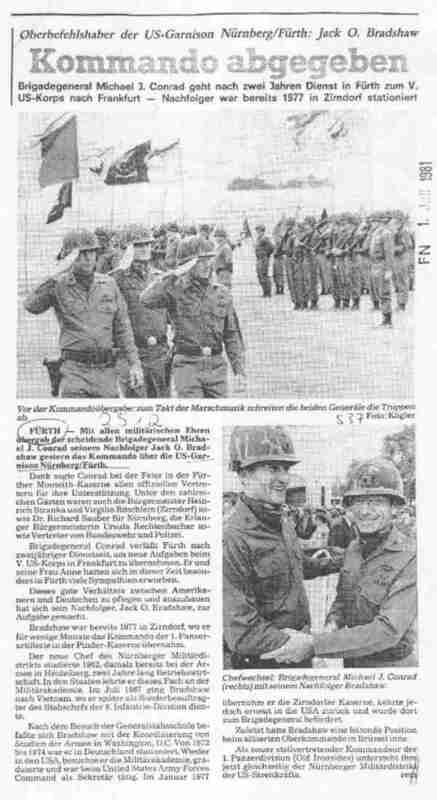 After attending the Armor Officer Basic Course, he was assigned to the 2nd Squadron, 4th Cavalry, then located in Schwabach, Germany. 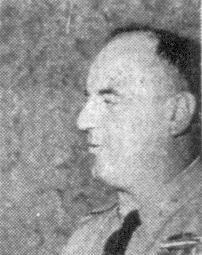 Colonel MacLellan was assigned as the Deputy Community Commander at Nuernberg, Germany on 1 February 1991. 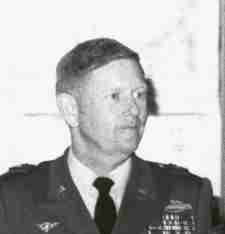 He assumed command of the 99th Area Support Group upon its establishment on 16 October 1991. Previously, he was assigned as the Deputy Community Commander at Mainz, Germany. 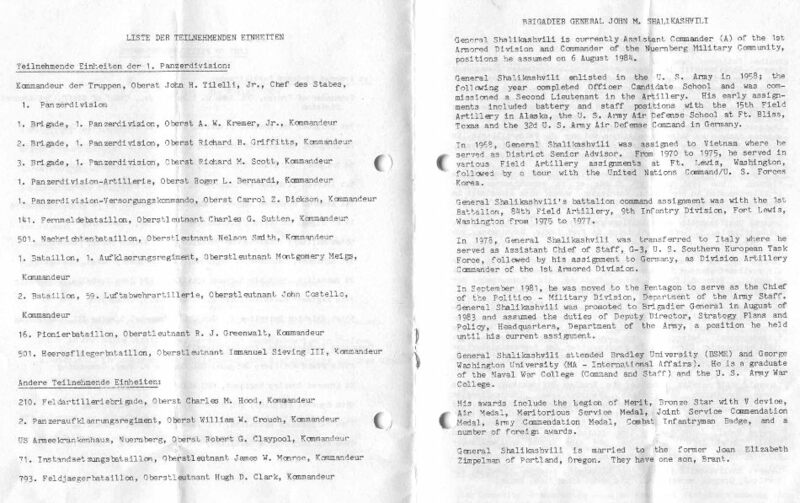 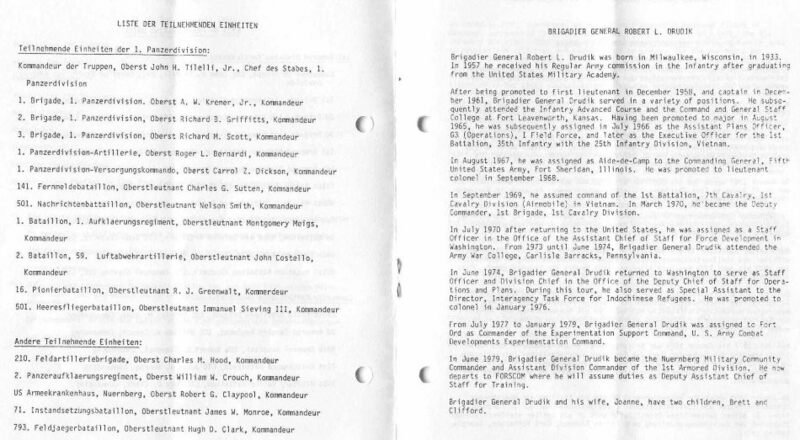 Previous assignments include Senior Army Advisor to the Tennessee National Guard, Senior Advisor to the 287 Armored Cavalry Regiment; Director of Community Development, ODCPER Headquarters, USAREUR: Battalion Commander of the 4th Battalion, 64th Armor; Inspector General of the 3rd Infantry Division; various command and Staff assignments in the 1st Armored Division and the 4th Infantry Division including two tours in Vietnam and four previous tours in Germany. 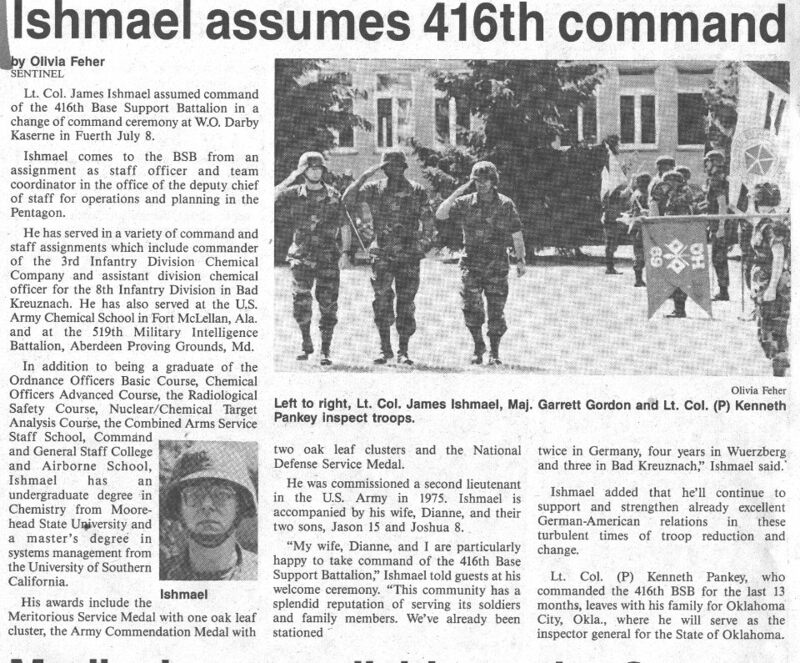 Colonel MacLellan is a graduate of the Armor Officer Basic Course; the Infantry Officer Advanced Course, the Command and General Staff College and the Installation Management Course. 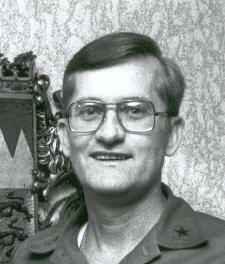 He holds a Master's Degree in Political Science from the University of Dayton, Dayton, Ohio. 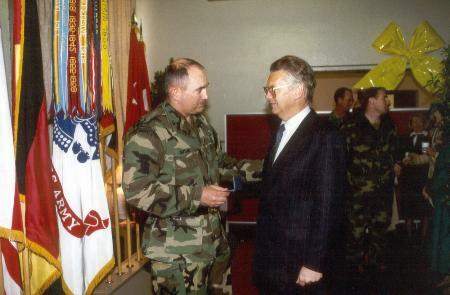 Colonel MacLellan's decorations include the Combat Infantryman Badge, the Silver Star, the Legion of Merit, the Bronze Star (w/OLC), the Purple Heart (w/OLC), the Defense Meritorious Service Medal, the Meritorious Service Medal (w/OLC), the Air Medal, the Army Commendation Medal (w/OLC and V) and several foreign awards. 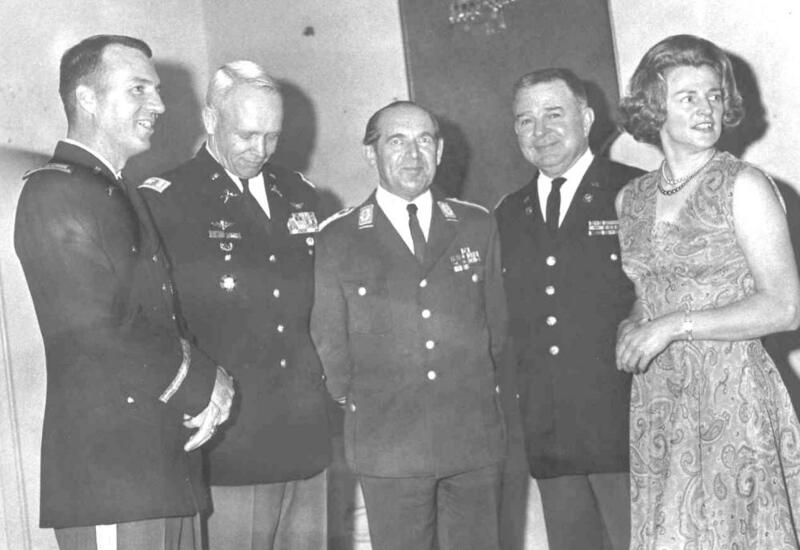 Colonel MacLellan is married to the former Elfriede Heinlein of Kronach, Germany. 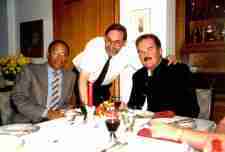 They have one son, Michael, who resides with his wife in Atlanta (Florida). 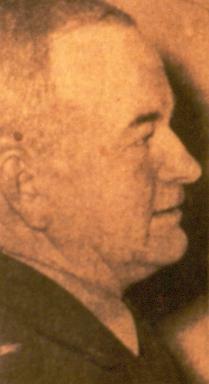 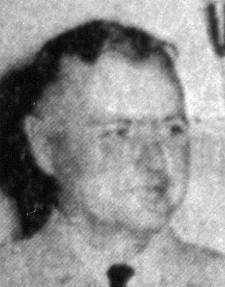 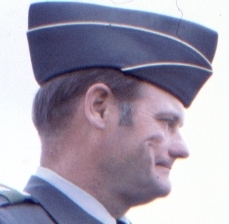 Colonel Roy C. Gortney was commissioned trough Officer Candidate School at Fort Sill, Oklahoma, in 1969. 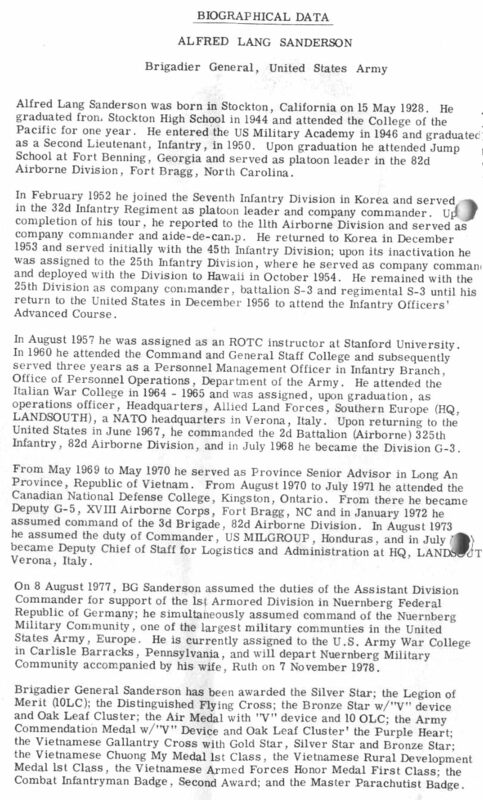 His previous assignments include Commander, Headquarters and Headquarter Battery, 18th Air Defense Artillery Group (Hercules), ARADCOM; Commander, Battery A, 2nd Battalion (Hercules), 44th Air Defense Artillery, Korea; Commander battery D, 3rd Battalion (Hercules), 71st Air Defense Artillery, Germany; Project Officer, Combined Arms Center, Fort Leavenworth, Kansas; S-3 and Executive Officer, 2nd battalion (Patriot), 43rd Air Defense Artillery; Commander, 2nd Battalion (Patriot), 7th Air Defense Artillery, Fort Bliss; G-3 and Chief of Staff, 32nd Army Air Defense Command, Germany. 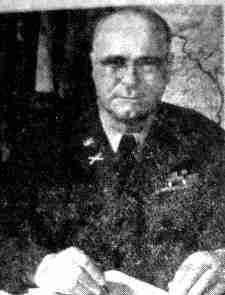 In addition to being a graduate of the Air Defense Artillery Officer Basic and Advanced Courses, the Patriot Officer Course and the Command and General Staff College, Colonel Gortney has a Batchelor of Science Degree in Business Administration from the University of Tampa; a Master of Arts Degree in Management from Webster University and a Master of Arts Degree in Strategic Studies and International Relations from the Naval War College. 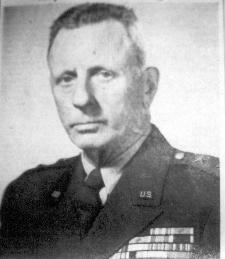 His awards include the Legion of Merit, the Meritorious Service Medal (w/4 OLC) and the Army Commendation Medal (w/4 OLC). 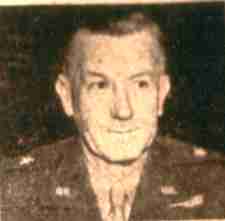 Colonel Gortney and his wife, Ellen, have two daughters, Becky and Jennifer, and a son, Eric. 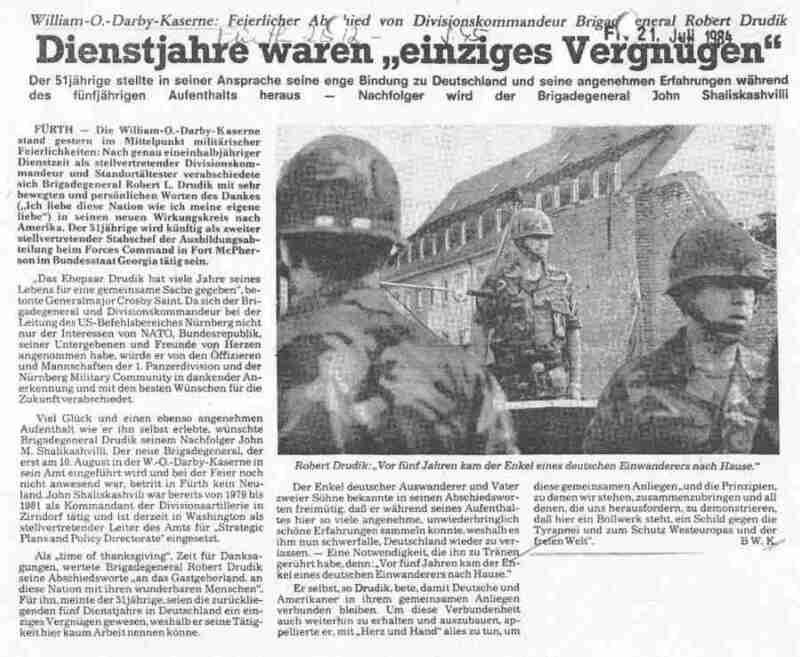 19 December 1995: The "Nuernberg Final Retreat Ceremony" took place in the Darby Kaserne. Under the command of Major Lee F. Taylor the American and the German flag were lowered for the last time.